Regulation of emerging technology such as genome editing has mainly focused on responding to the consequences of innovation. The classical regulatory model of “identification-quantification-assessment-safety management” takes a risk-oriented approach to regulation of emerging technology and focuses on constraining the practice of science based on ethics, and administrative and risk management procedures. This model is evident in the recent product versus process-based arguments and the reactions triggered in Europe by the recent decision of the European Court of Justice declaring genome-edited products as GMOs. This model, referred to as the ‘ethical, legal and social issues’ (ELSI) framework, tends to over-simplifies the innovation process and the interactions between science and society. In contrast, post-ELSI models do not focus excessively on responding to the consequences of innovation (regulate, forbid, or restrain) but rather focus on the upstream process of shaping innovation. Several models try to make practitioners of science and innovation responsible members of the governance process and modulate ongoing socio-technological developments by increasing awareness of technology developers about political issues and societal concerns surrounding specific innovations and by equipping them to better position their work within the broader environment. The ELSI model has been criticized in the Science and Technology Studies literature for over-simplifying the innovation process and the interactions between science and society. ELSI inquiry encourages a linear conceptualization of innovation and a deterministic understanding of the technology-society relationship (Williams, 2005) despite the reality that science and innovation follow multiple possible trajectories resulting in multiple different futures (Balmer et al., 2015). Science historians have shown the unpredictability of technical and social outcomes and the gap between imagined and actual futures (Williams, 2005). The ELSI framework tends to promote a linear relation between science and society as if science stands apart from society. According to this model, scientists propose innovations and society determines acceptability and assigns the task of risk management to scientists (Hurlbut, 2015). By focusing on innovation outcomes, ELSI approaches tend to reduce complex science-society issues to a particular scientific domain or discipline (genetics in case of genome editing) and consider only probability based reasoning related to toxicity or environmental harm (Coutellec, 2015). Other reasoning approaches, such as the experimental exploration and measurement of more complex observable relations or the hypothetical construction of analogical models are marginalized (Coutellec, 2015). Last, ELSI favors safety as the primary criterion for social acceptability at the expenses of other possible criteria such as sustainability, justice, privacy, and social welfare (Balmer et al., 2015). Relying on the ELSI model for genome editing bears the risk of reproducing the same confrontational situation that occurred with GMOs. By contrast, post-ELSI models recognize the diversity of innovation trajectories that offer the possibility to better anticipate obstacles and to adequately modulate the innovation process in real time. These models target their intervention beyond only the Law. Moving beyond ELSI would start at the policy level to create a more inclusive decision making process that helps shape and steer the innovation process rather than simply intervening once completed products are introduced in the market. Lessons from the GMO debate indicate that opposition about the use of biotechnology in agriculture goes beyond the question of impact on health and environment and also concerns the framing of problems and solutions related to food security, intensive agriculture, and motivations for adopting agricultural biotechnology (Helliwell et al, 2017). A more inclusive process approaches regulation as a deliberative, learning process that improves anticipation but also reflects this diversity of societal values, needs, and concerns. This could take the classic form of increased public participation through citizen juries, focus groups, consensus building conferences, citizen panels, etc… But a more inclusive process about the way science itself, in its plurality, is mobilized for policy decisions on this technology is also needed. It would involve representatives from other scientific disciplines and include reasoning styles other than risk-based assessment to account for complex and often overlooked socio-technical dynamics (Rip and te Kulve, 2008). The new EU directive on GMO offers the possibility for member states to include socio-economic considerations to build decisions on the release of a specific GMOs. Such soft interventions that attempt to modulate ongoing socio-technological developments could be complemented by interventions at organizational and individual levels (i.e. research organizations and scientists). Scientists are increasingly aware that the knowledge specialization and limited public interactions among disciplines and actors complicates engagement in constructive discussions about how technologies such as genome editing can be used to the benefit or detriment of society; where the technology fits within the global challenge of food security and more broadly how science and technology can influence the world. Logically, the perspective of technology developers and promoters is often user-centric, starting with their own direct environment and technical agenda before addressing the broader societal context (Rip and te Kulve, 2008). Yet, the broader perspective is indispensable for aligning technical decisions on the use of genome-editing with broader societal considerations (Fischer et al., 2006). Training either through short courses that would provide with increased understanding on the diversity of values, conflicting preferences and issues at stake; or through online ethics training (that could for instance be required before submitting research proposals) aimed at pointing to issues that are not commonly perceived and hence, improving research design and collaborations. All these initiatives move beyond the risk management approach to embed scientists in the development of solutions. As consumers of complexity, scientists should be engaged in designing initiatives that counteract the current polarized trend in genome editing as well as other fields. Opportunities exist for research organizations to begin leading and new initiatives that move beyond the regulatory approach. Click here to view references for this article. 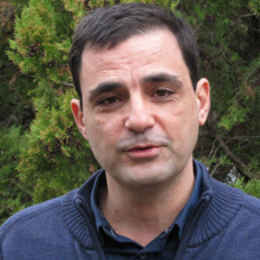 Selim Louafi is Senior Research Fellow, CIRAD, UMR & AGAP, Montpellier, France. This article was co-authored with Eric W. Welch, Professor and director of the Center for Science, Technology and Environmental Policy Studies at Arizona State University. Returning to Rotterdam in May, the 7th Plant Genomics & Gene Editing Congress: Europe is shaping up to be a great event. Download the agenda to find out more.